The final stretch enters the completion of the process for the Prespes Agreement since, according to the latest information, its ratification by the Greek Parliament will be completed by next Friday. On Friday morning, SYRIZA’s Political Secretariat convened for the vote of confidence developments around the Prespes Agreement and the Roadmap for its ratification, under Prime Minister and Party president Alexis Tsipras. On the sidelines of the meeting, a high-ranking party official told journalists that the parliamentary procedures are starting on Monday. On this basis, the Foreign and Defence Committee will meet on Monday morning, which will send its proposal to the plenary session to be held shortly thereafter. They underline from the Greek Government that the necessary time will be given for an exhaustive discussion of the content of the Agreement. In this context, SYRIZA appeals to the citizens to read the contents of the Agreement with sobriety. and to the MPs and the parties to not use as “alibi” their differences with SYRIZA in order not to support the agreement, calling this stance a “historic error”. “The alignment behind the New Democracy of the far-right rhetoric for such a crucial national issue is a strategic mistake with historical consequences”, the statement of the government writes. Meanwhile, the decision of The Potami to allow its MPs to vote based on their conscience came as a relief in Athens, since the support of the agreement by at least two MPs ensures the 151 that the government has set as a political objective. The respect for the common course of those who participate in KINAL, but without party discipline in the vote on the Agreement, announced Fofi Gennimata. Thus, with these development there might be surprise votes in favour of the agreement that will increase the majority. 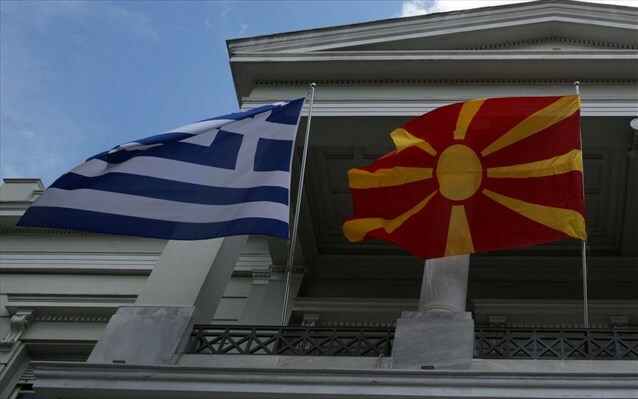 For their part, New Democracy reiterates that with the Agreement, for the first time in it history Greece recognizes a “Macedonian language” and “Macedonian citizenship/nationality”, and that the text of the verbale confirms that “Skopje’s constitution now makes reference to Macedonian people”. They even warns that if the Greek side does not respond directly, “we will have given yet another exclusive use of the term” Macedonian” to the Skopje. “Circles of the main opposition pointed out yesterday that ND would do “all in their power so that the damaging Prespes Agreement will not be ratified”. The main opposition party also announced its negative stance on the NATO accession protocol of “North Macedonia”.